Mary Jane R. Kleckner, age 84, of Park Ave., Waubeka, town of Fredonia, WI died unexpectedly Friday, April 1, 2016 in Shawano while enjoying the Northwoods with her husband of 64 years. She was born on December 22, 1931, daughter of Emil and Mary Prom Wach in Waubeka. Mary Jane graduated from Port Washington High School and remained a life-long resident of Waubeka. 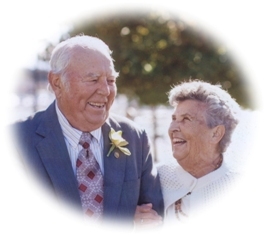 On February 23, 1952, she married Earl E. Kleckner of the Town of Belgium at St. Rose of Lima Catholic Church in Fredonia. Throughout her life, Mary Jane worked many different jobs. Her proudest was homemaker, mom and grandma. In her youth she worked at the former Schmit Bros Hardware in Fredonia, Appleland Apple Orchards and Brown’s Plant Nursery, amongst others. She also worked at her husband’s side with Kleckner’s Fire Extinguisher and Service for over 30 years. Mary Jane had been active with St. Rose Parish, was an avid baker and enjoyed her flower garden. She was a past-president and active member of the Warren-Kane American Legion Post 410 Auxiliary of Fredonia. She will be remembered for her love of family and cookie jars. She is survived by her husband Earl, daughters Colleen (the late David) Pflug of Green Bay and Deb (Dale) Jacoby of Random Lake, her son Dennis (Peg) Kleckner of Hartland, nine grandchildren, three great-grandchildren, her sister Loretta (the late Clarence) Spies of Germantown, her sister-in-law Armina (the late Alois) Wach of Waubeka, nieces, nephews, other relatives and friends. Mary Jane is preceded in death by her son Timothy Kleckner and her brother Edward Wach and his wife Agnes. Her Mass of Christian Burial will be celebrated at 6PM Tuesday, April 5, 2016 at Divine Savior Parish-St. Rose Chapel, 305 Fredonia Ave., Fredonia. Reverend Todd Budde will be the celebrant. Interment St. Rose of Lima Catholic Cemetery, Fredonia. Visitation 3-6PM Tuesday April 5 at THE CHURCH prior to the Mass. Memorials to the charity of donor’s choice appreciated. So sorry to learn of Mary Jane’s passing. My thoughts & prayers are with Earl & the family. My deepest sympathies to the family. I have many fond memories of sharing holidays and events with the Kleckner/ Jacoby clans. I hope you find comfort in knowing she is now with our heavenly Father. Rest in peace, Mrs. Kleckner. Our thoughts and prayers are with Mary’s family, especially daughter Colleen and her children. While I didn’t know Mary, I know from her family that she loved her children and grandchildren. Rest in Jesus! God bless you all may He keep you close to heart especially during this very sad time. Words can not express all the qualities of my Aunt Mary. I will miss her deeply but cherish the time we had together. I think of how special it was to be the flower girl at their wedding especially seeing how they grew in love over the 64 years of marriage.